Click on Status, etc under "Permits" on the left side of your screen. In the "Permit Identification" screen, enter the permit number. Click the Search button to search for your account information. Enter in the Vessel registration number. Click Continue when done. 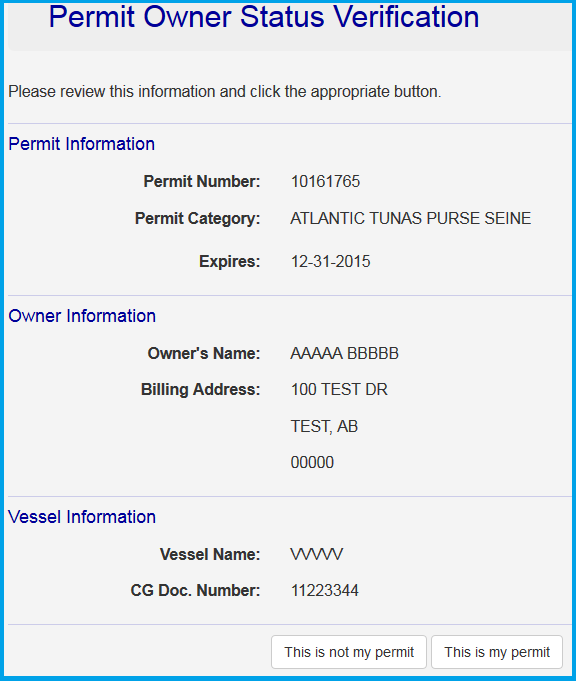 Verify that the permit belongs to your vessel. If the information is correct, click This is my permit. Otherwise click This is not my permit. 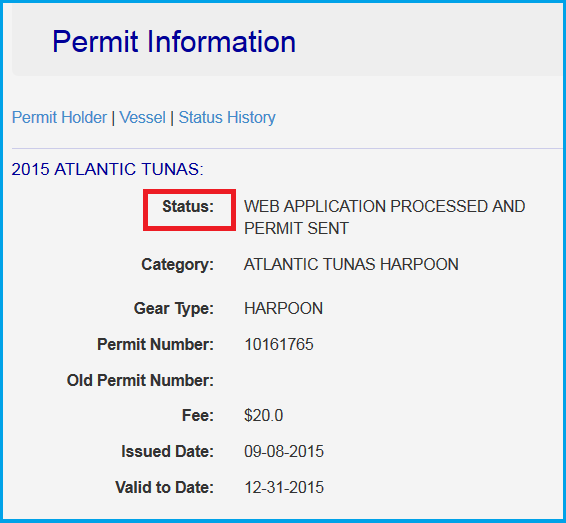 Read the status of the permit provided in the "Permit Information" page. When done, scroll to the end of the screen and click the Home link highlighted in blue. To conduct another search click new search. 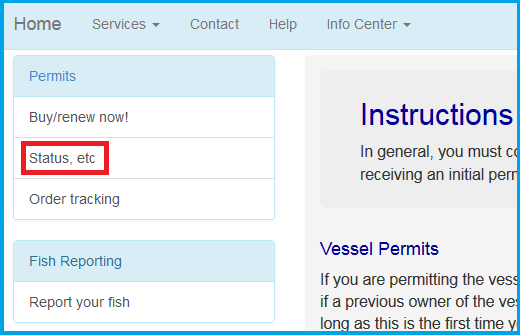 To print your permit status, click the print button.